Eschenbach Visolux Digital HD - 7 Portable Video Magnifier - 4 Hrs. of Battery Use! Eschenbach Visolux Digital HD - 7" Portable Video Magnifier - 4 Hrs. of Battery Use! 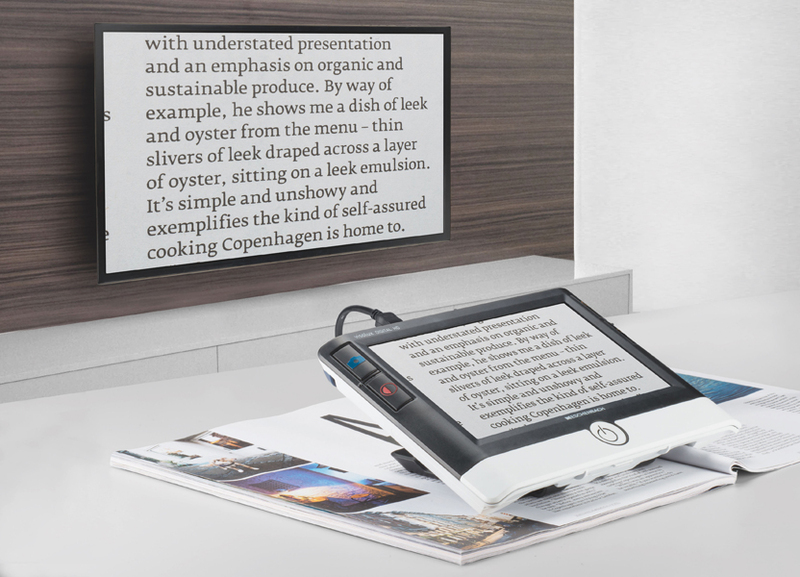 The Visolux Digital HD combines modern technology with intuitive operation and provides the ultimate reading comfort. This advanced video magnifier features an extra-large 7” LCD screen with anti-glare coating, an HD camera, built-in stand, and many other features, all at a competitive price! The Visolux Digital HD’s built-in HDMI and USB ports allow the user the option to transmit images directly to their computer and live stream to a television screen. It’s unmatched connectivity options and superior image quality make this the ultimate low vision device! * Battery Operation: Rechargeable battery last 3-4 hrs. / recharge 2-3.5 hrs. * Warranty: 2 years manufacturer limited warranty.